The staff were extremely supportive and cooperative. I would like to thank the entire management and staff of Ibis styles as during our stay in the hotel the staff really helped us. We had one 5-year-baby and every morning during the breakfast the staff could come to help us with the baby while me and my family would take breakfast in Utamu restaurant. Special thanks. I would also like to extend my special thanks to one of the managers when there was water problem in the hotel and she herself went to bring me bottled water to help my wife finish her unfinished shower. Additionally, as compensation for the water shortage in the rooms and inconvenience caused to guests, a free dinner was provided to all. This was an excellent decision. I would live to come again and stay with Ibis. I am still waiting for my refund of 2 nights, the manager in turn, told me that my credit card will be refunded a few days after the transaction; it has been 2 weeks and no answer. I had a pleasant stay. The staff were friendly with excellent service. Breakfast selection was great with many options to choose from. Location is also great. Would definitely revisit. Satisfactory and enjoy my stay. A pleasant stay, friendly staffs and Security aspect quite good. Thorough checks at the entrance and x-ray before entering any baggage in the hotel. Security is major concern for all visitors and I was very satisfied with what I observed during my stay. The room was a little small for two persons with two big suitcases. The overall experience was really nice, I'd have actually given a 10/10 rating but the drinks at the bar were too costly. 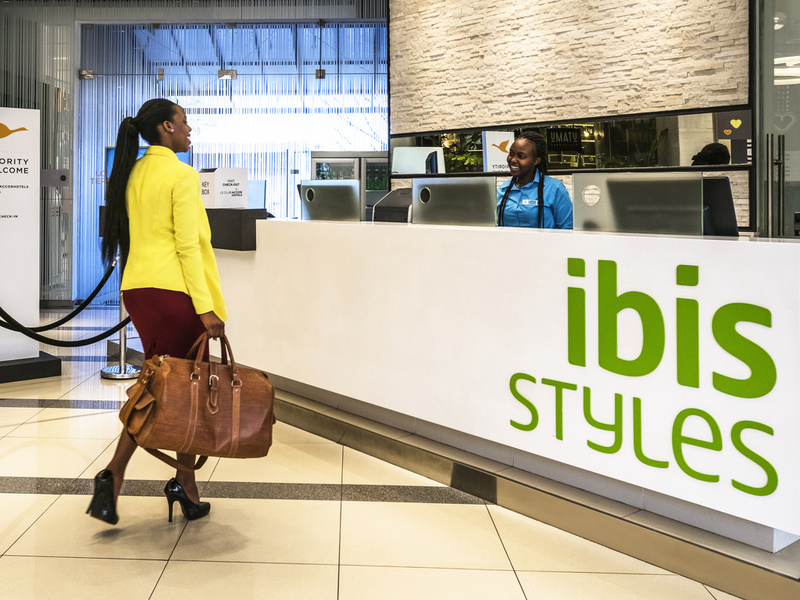 Thank you so much for your kind feedback on your recent stay at ibis Styles Nairobi Westlands. I am so sorry for the failure of our WiFi. We had a team working to resolve the failue in the most timely manner possible, We were able to assist guests in providing mobile hotspots in our lobby area and although not ideal I trust this service assisted. Our team hope to welcome you back in the future where we will provide you a more comfortable and enjoyable experience. Ibis Westland is a nice hotel, such as the atmosphere on the roof terrasse. Food was good, room clean, air conditionning ok and staff friendly. However I had no internet during my stay which was annoying for a short business stay. Unfortunately the hotel doesn't offer alternative solutions if their main internet provider is off. I am surprised to get internet in any taxi thanks to shared connections while no internet in an international hotel. No one from the staff could open its connection to allow me to send an email. Without internet, the hotel cannot to print documents as well. In the rush to find a place to print, I forgot something in my room and I was never called back to know if it was found. Ibis Westlands is perfect to relax, but for business I won't recommend it. The hotel is clean and located in a safe area of the city and is close to a Mall. I also like the food, it was very delicious. As well, your employees are very friendly. The only problem was that the first two days the internet connection was not stable. This was a bit frustrating. Later on the internet connection was fixed.